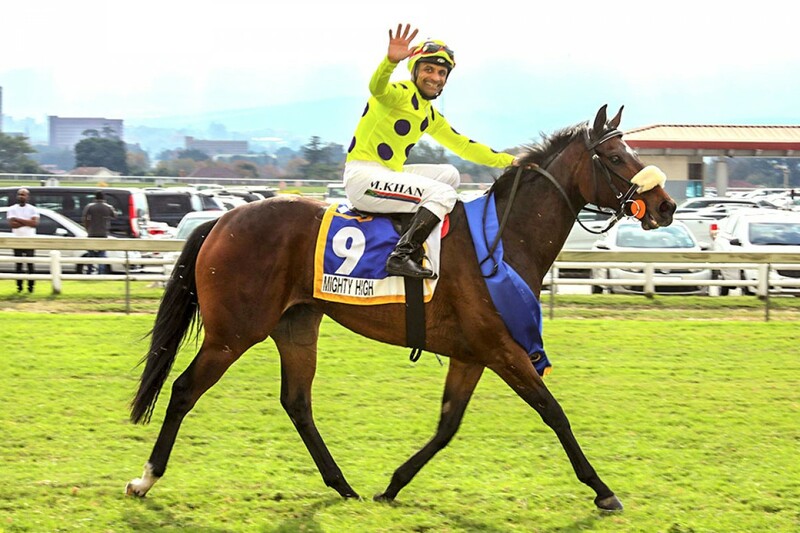 Maine Chance-bred runners had a field day at Scottsville’s famed Golden Sprint meeting, winning two of the four prestigious Gr.1 races. Pathfork filly Mighty High, on just her second racetrack appearance, initiated the double in the Allan Robertson Championship. Approaching the final furlong, the juvenile was caught behind a wall of horses with nowhere to go. However, veteran jockey Mark Khan found a timely gap and with a tremendous burst of speed, she collared the duelling pair Celtic Sea and Inverroche close home, to win going away. This was no mean feat, considering the former had won the Gr.3 Pretty Polly Stakes while the latter had landed the Gr.2 SA Fillies Nursery! Now two for two, Mighty High came into the juvenile showpiece off an impressive two-length maiden victory at the Vaal, where she had also flashed her impressive late turn of foot. Mighty High is the first foal of Bold Nymph, an Australian-bred daughter of Shamardal. Completing the farm’s Gr.1 double, our homebred Sommerlied sent her broodmare value soaring with a sparkling victory in the coveted SA Fillies Sprint. Racing on the heels of pacesetter Jo’s Bond, the daughter of Var and Pentire mare Sommermärchen was given her head 300m out and, once in the clear, was never in danger of defeat, coming home full of running to score with authority from fellow Maine Chance-bred Magical Wonderland. This all-important Gr.1 success came on the heels of a game victory in the Gr.3 Poinsettia Stakes over the course and distance, and with seven wins and career earnings of R994,375 to her credit, she will be a most valuable addition to our broodmare band.